“Beth and her team helped us move during a very busy and challenging time. I have very fond memories of packing day and moving day – which I was lead to believe would be one of the most stressful in my life – all thanks to the work Beth did and most of all the manner in which she did it. Having her in charge of the whole move including the outsourcing of a fabulous removals company really did leave us to just look forward to seeing our new home together. “I am a user and trustee at the Kent Multiple Sclerosis Therapy Centre. Beth your contribution with regards to the interior design at the new centre is stunning”. “Thank you so much for putting the icing on the cake at this state of the art facility; a haven for so many enhanced by your décor”. “Bethany Rossiter from Mirage Designs carried out the removal of my furniture and personal effects from my former home in London W3 to my new address in Whitstable. She conducted the removal with efficiency, promptness and care. She has since been a great help to me settling in at my new address. “I contacted Beth Rossiter of Mirage Designs to just have a chat about an idea I had to extend my kitchen. Beth met with me and listened to what I vaguely had in mind. She was very quick to spot the potential. Beth found me an architect who drew up the plans and submitted the planning application. She sourced the builders. Beth came up with a brilliant design for the new kitchen, it exactly matched the kind of thoughts I had but couldn’t articulate myself. The project and all the different trades worked really well, the whole thing took a while because it happened over Christmas and during some really atrocious weather. However Beth made sure that I wasn’t inconvenienced at any time by the work. The project went without a hitch and that’s saying something about such a big building project. My new kitchen looks absolutely fantastic and into the bargain Beth also redesigned my dining room to “flow” through to the new kitchen. 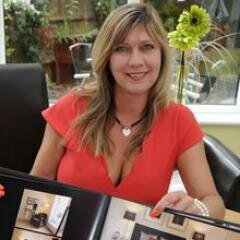 I can highly recommend Beth and Mirage Designs, the design skills, vision and eye for detail are second to none. The project was managed extremely well & all the workers and trades that she sourced were brilliant. Oh and Beth is also a joy to work with!